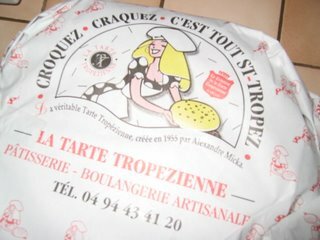 La seule, l'unique, l'authentique, j'ai nommé: la tarte tropézienne! Véritable institution, dont vous pourrez lire l'historique ici , c'est un pure délice quand elle est bien préparée. Oubliez ces choux crémeux industriels totalement indigestes! J'en mange rarement (j'aime faire la pâtisserie maison!) mais une balade à Saint Tropez (Braderie jusqu'à dimanche! ), c'est l'occasion à ne pas rater! Allez, vous en prendrez bien une petite part? 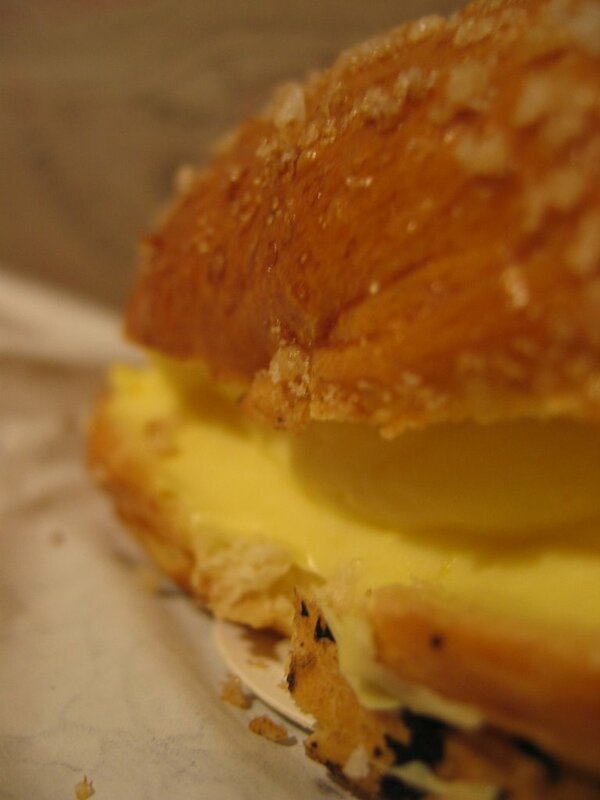 A delicate mix of whipped cream and custard sandwiched between layers of buttery dough sprinkled with sugar cristals. A true delight when it's well made, a disaster in your next door supermarket. 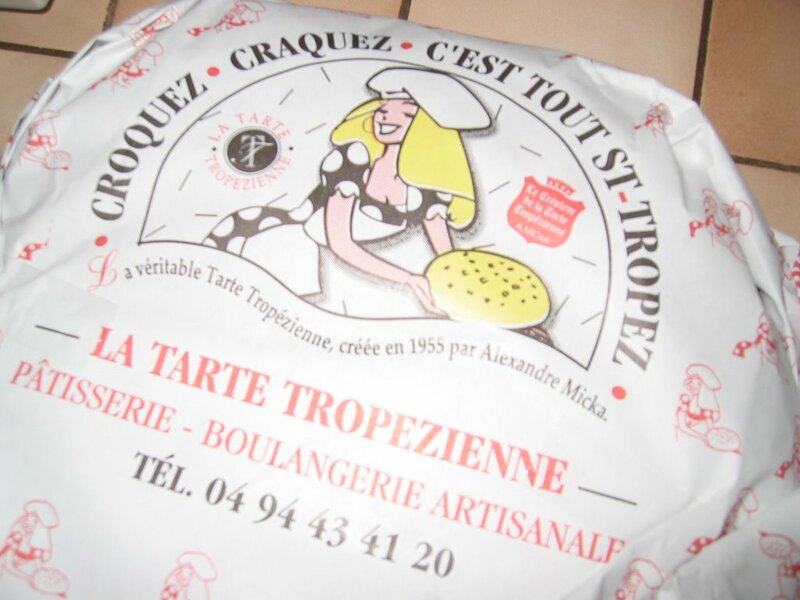 I went to Saint Tropez today for the "Braderie" (where all the stores sell articles from the summer or last winter with prices supposed to be really lower where in fact they're just about the same... some good deals anyway) and we always bring back the speciality with us for dinner. Yummy! Oh, la gourmande, elle a tout mangé!